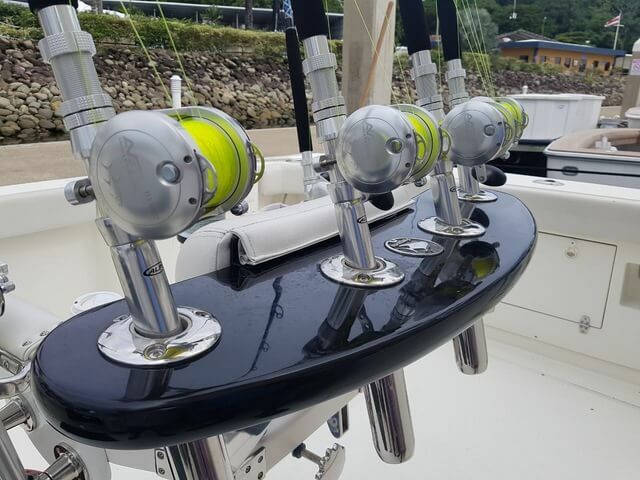 Quepos Fishing Charters is part of the Fuhgeddaboudit Sportfishing Costa Rica Family with its fleet of boats based in the Pez Vela Marina. 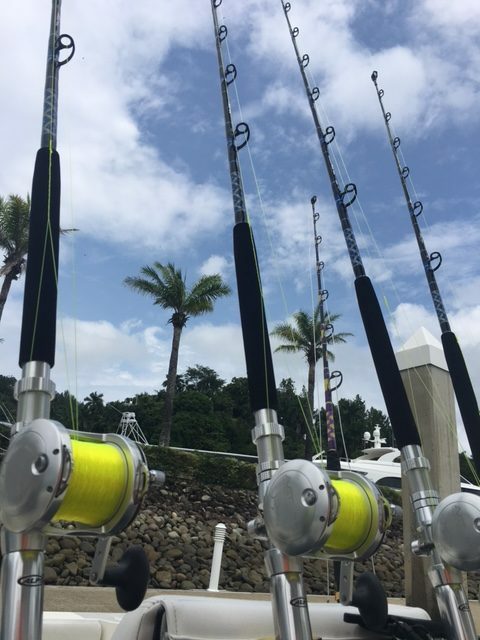 We are ready and waiting to get you out on the world famous Quepos fishing grounds. 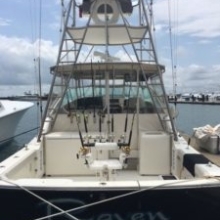 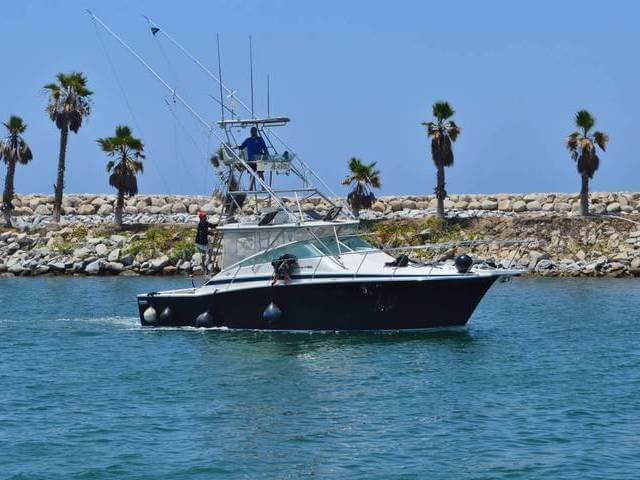 The 38’ Bertram Raven is fully refurbished and re-equipped charter boat has Shimano Talica Reels & Penns reels for the best offshore fishing charter experience. 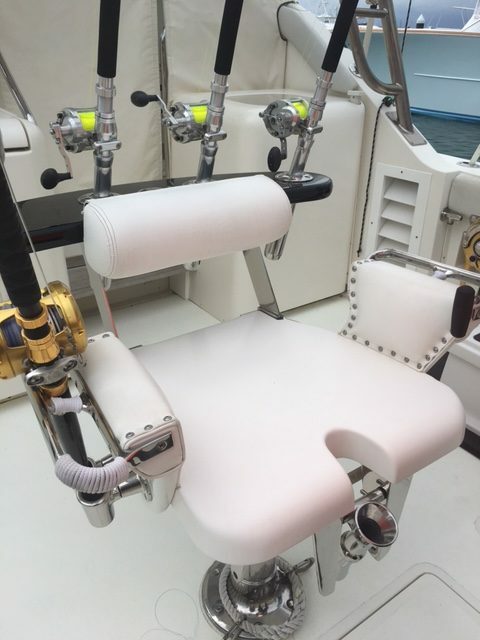 We are also rigged and ready to catch trophy Red Snapper and Grouper as well as light tackle for those that like a challenge on lighter tackle offshore. 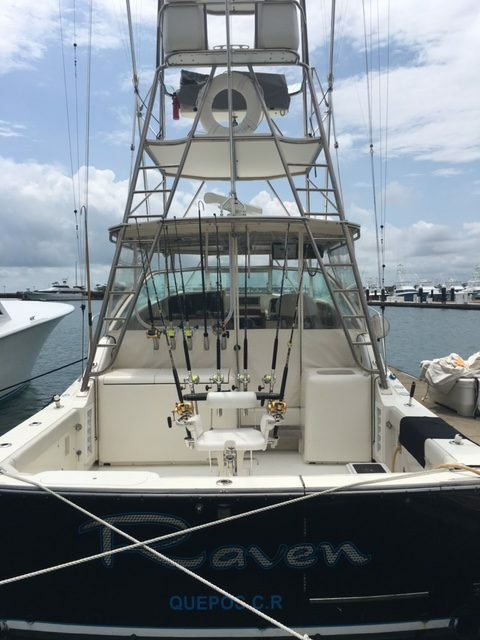 We also offer offshore trips on our 33’ Dawson MoonWalker for offshore and inshore fishing. 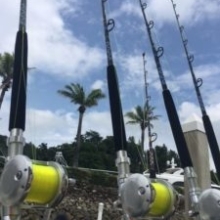 If you are looking for a shot at a Marlin or Sailfish on the fly, Costa Rica saltwater fly fishing is some of the best available. 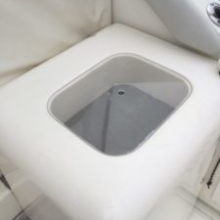 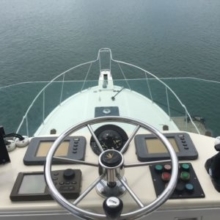 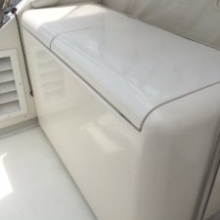 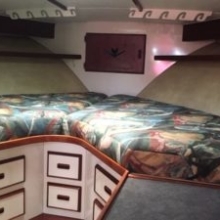 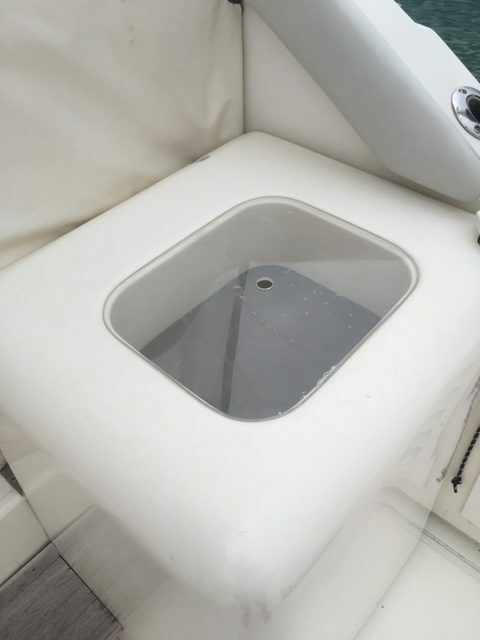 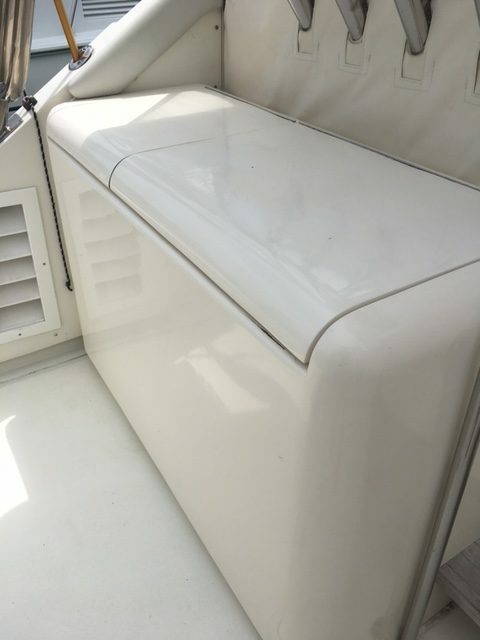 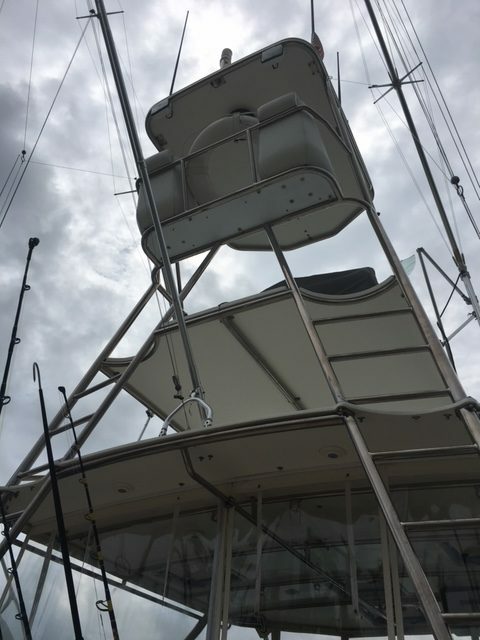 Our 38′ has plenty of cushioned seating with fully shaded and Air Conditioned helm, a full head and Shower and includes a fighting chair, tuna tubes & live well. 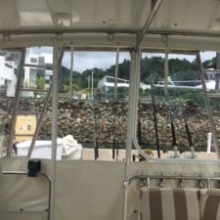 Powered by Twin Caterpillar C-7 454 HP engines to get you to the Fishing Grounds and the FADS in record time and in total luxury with fully enclosed isinglass curtains bridge deck to keep you cool and entertained with TV/CD/DVD player. 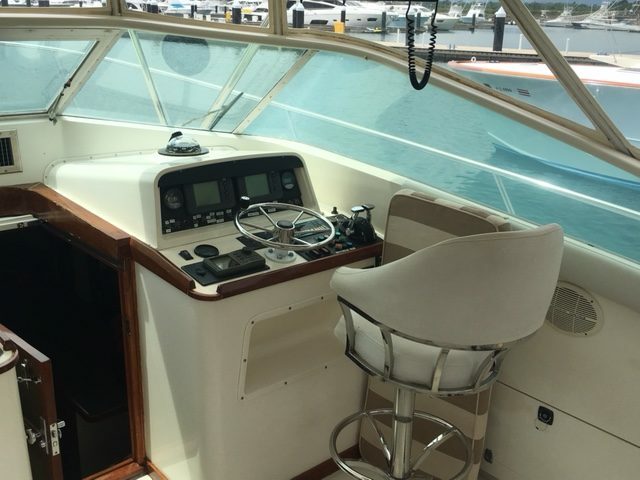 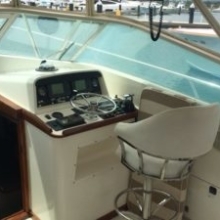 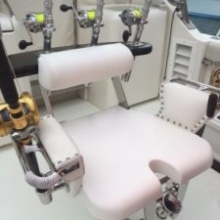 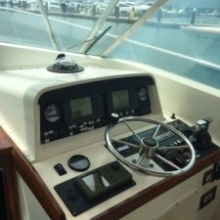 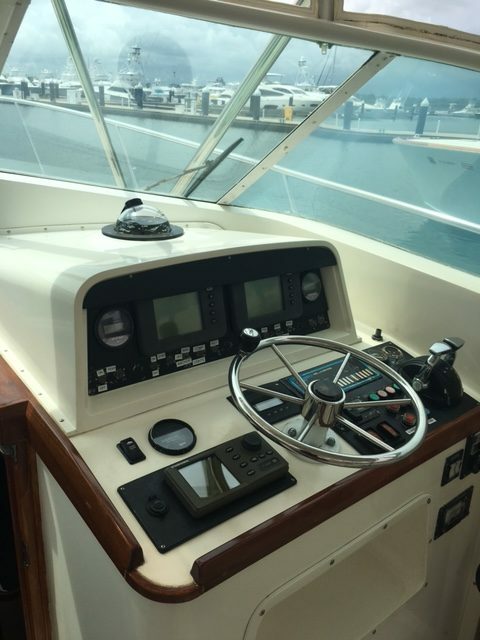 The Cockpit sporting a Pampanette fighting chair, subzero freezer, Live Well and tuna tubes assure you a perfect day out on the Quepos Fishing Grounds and out to the FADS. 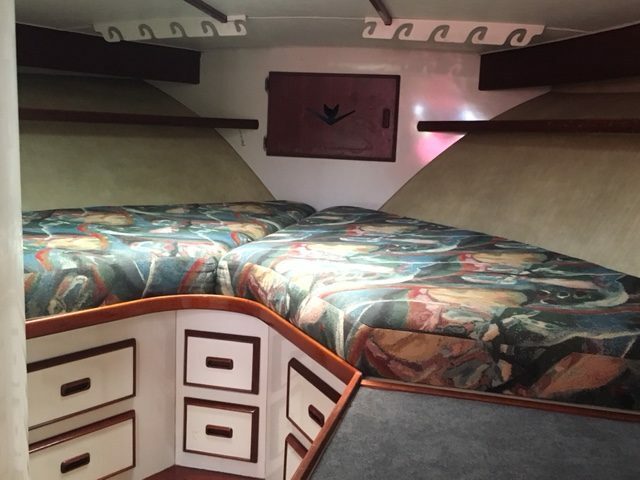 Accommodating up to 8 guests with a very spacious air conditioned salon area in the lower helm with entertainment center and full cabin with Kitchen, Microwave, sleeping Berth, Full Head and shower. 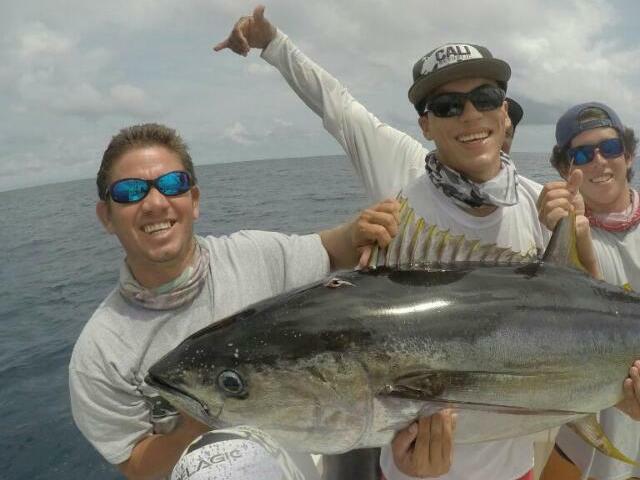 Our Quepos Fishing Charters include:: Full Lunch, Fresh fruits, snacks & soft drinks. 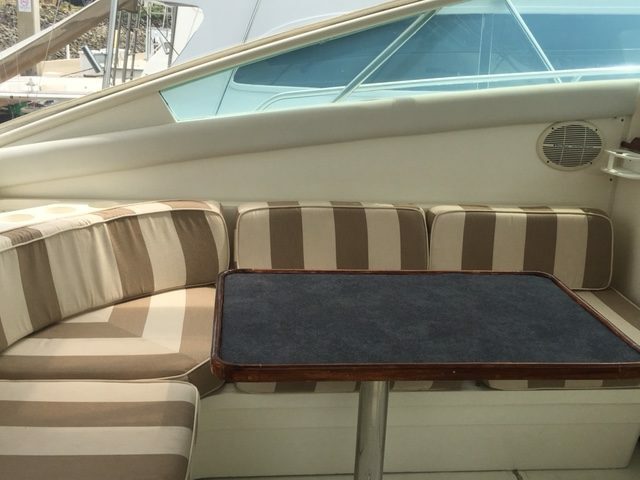 On board you will be served snacks and plenty of soft drinks. 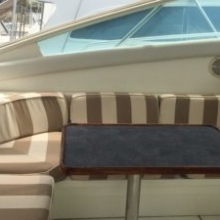 You will also be served chilled watermelon and pineapple to keep you cool and refreshed. 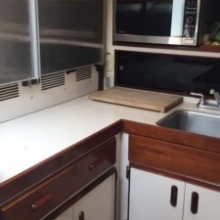 Lunch is also included fresh hand made sandwiches and chips and salsa plus fresh guacamole. 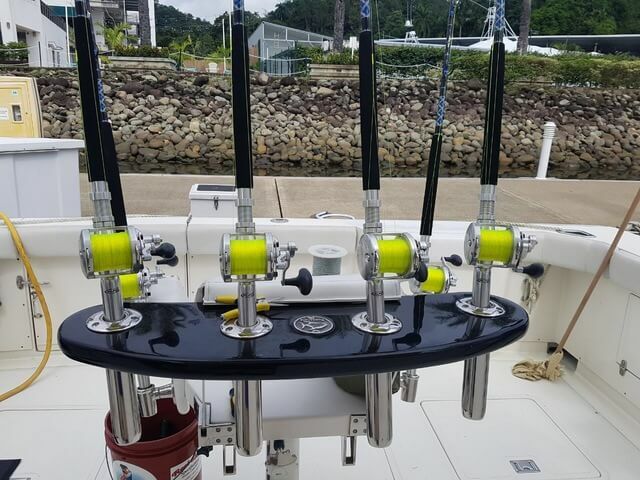 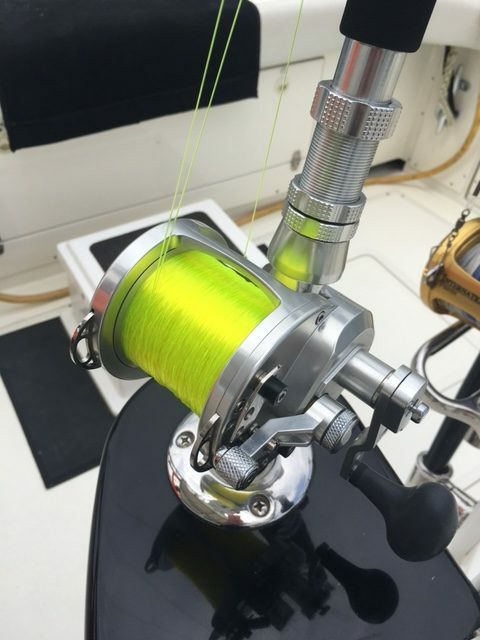 All Bait and tackle is included on all charters. 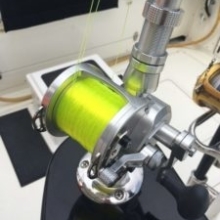 If you are looking for a shot at a Marlin or Sailfish on the fly, Costa Rica saltwater fly fishing is some of the best available. 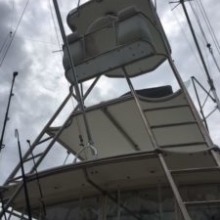 Our 38′ has plenty of cushioned seating with fully Air Conditioned helm, a full head and includes a fighting chair, tuna tubes & live well. 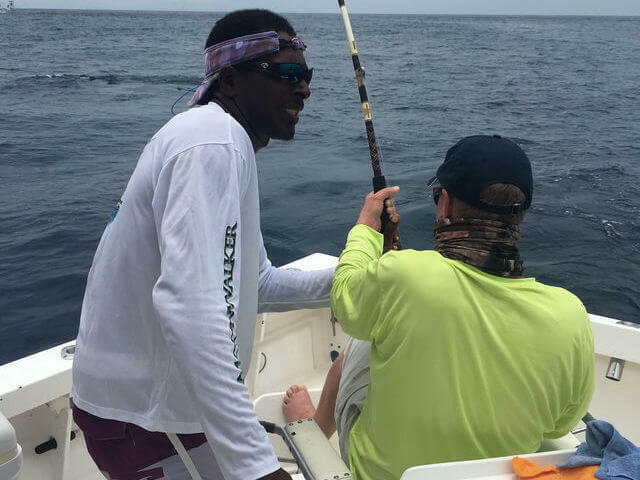 For those of you that catch something for dinner, Tuna, Dorado, Wahoo, Gouper and Red Snapper are out there… The crew will filet your catch and bag it for you at the end of a great day. 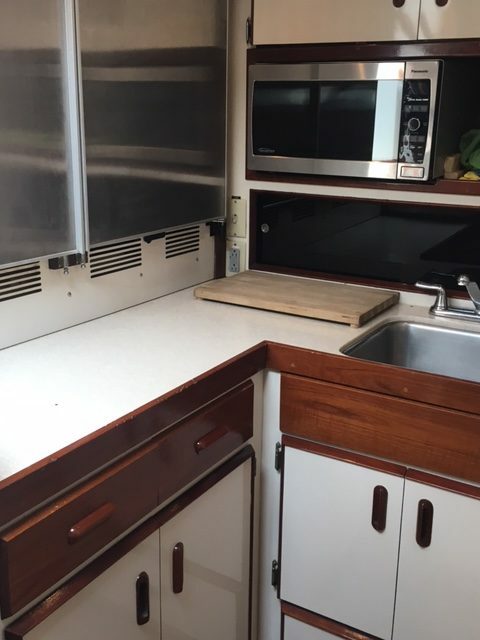 You can take it to one of the great local restaurants, or maybe have your chef prepare it back at your vacation rental accommodation. 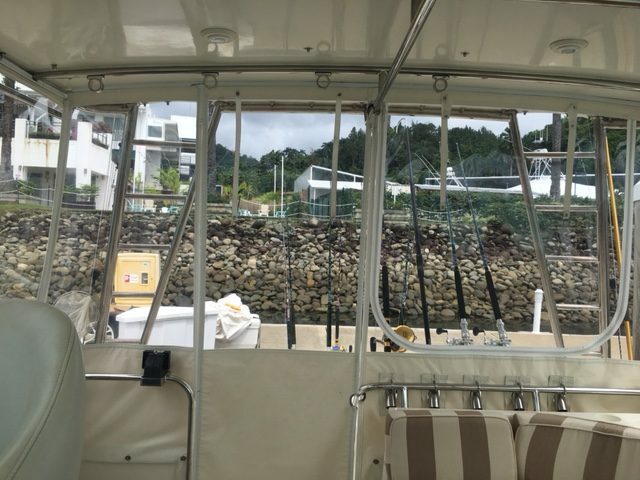 Our Quepos charter fishing boat crew are bilingual and the Top booked crew here in Marina Pez Vela and they are eager to provide you with a fantastic day on the water.